What is Remarketing & How Does Remarketing Work? Remarketing definition – a way of re-connecting with users that have previously visited your website. As some 96% of visitors don’t convert first time around, this is a powerful tool to re-engage and attempt to make the sale (or conversion) again. There are several Remarketing platforms out there including Adwords, Criteo and AdRoll to name a few. This post is concentrated mostly on the Google Adwords solution and will include a few remarketing ads best practices for you to take away and implement yourself. Gives you the ability to show image and text ads to previous visitors as they browse the Google Display Network websites and Apps. This places your ads on third party websites. We’ve chosen the “checkout bailouts” list as we want to re-engage visitors who very nearly purchased in the checkout but bailed at the last step. Proceed to creating ads text or image ads; Be sure to follow supported specifications to make your images the correct size & formats to use in remarketing. 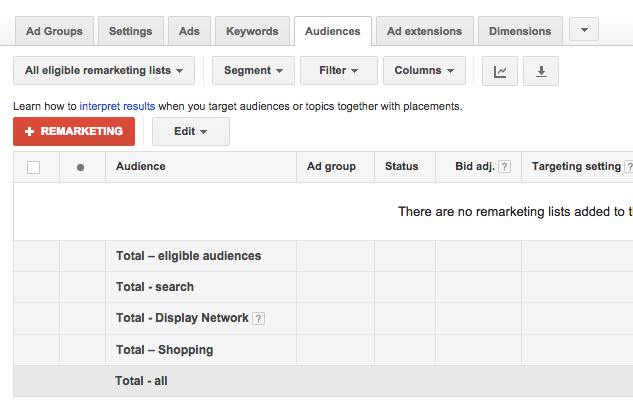 You can view the supported ad dimensions for the Google Display Network here. This campaign type enables you to remarket to your previous visitors through a standard Google search results page, instead of a third party website. This allows you to differentiate between ordinary searchers from people who are genuinely more interested in your business. We recommend a more tailored ad copy and slightly higher bid price to appeal to these searchers – as you know they’re already interested. Although remarketing costs can differ form account to account, in our experience the cost of conversion is less than traditional search campaigns making it almost compulsory for anyone running Adwords to consider this campaign type. These campaigns are driven by the data in a Merchant Center feed or manually by CSV upload if you don’t have one. 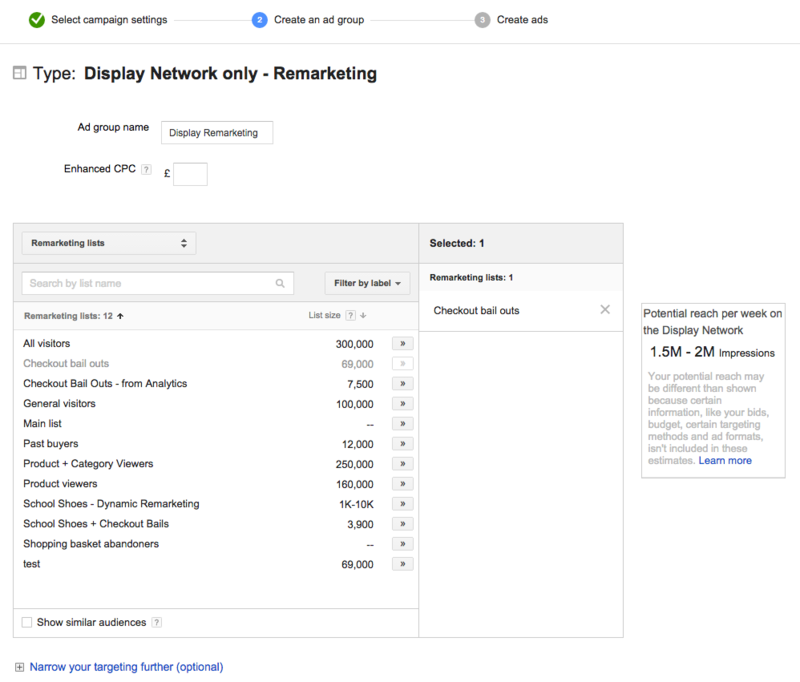 Here’s a great video from Google to illustrate the Dynamic Remarketing set up process. 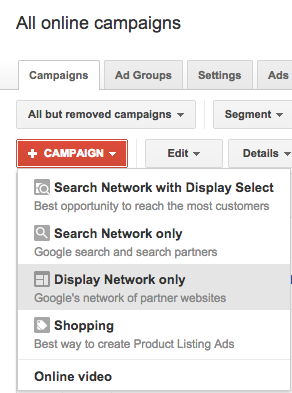 This adwords feature enables you to show tailored ads to users across the Youtube platform and other partner sites. viewed your TrueView in stream ads. Video remarketing gives you the opportunity to reinforce your message to previous viewers and can be delivered on a pay per impression or pay per click method depending on the desired goals. Mobile app remarketing enables you to show ads to people who have previously used your app (or website) as they browse others. With the growth of mobile usage on a continual rise, we expect to see App remarketing become more widely adopted by advertisers as publishers find ways to target more effectively than they do currently. What are the benefits of using Remarketing? Great ROI – Remarketing in all its different forms is generally more cost effective than traditional search or display campaigns. The cost per click is often lower and ultimately your cost per conversion. Read our blog post on Google Analytics Goal Attribution to truly understand the value of this method and to establish a more accurate ROI. Reach customers when they are most likely to purchase – The users you are targeting have already been on your site and have probably already spotted the products they are interested in. Remarketing gives you the opportunity to keep advertising to the customer when they are in mid-decision over purchase. They often succumb to your offer. Remarketing lists can be completely tailored to your advertising goals – for example, you might want to target people that abandon the shopping basket, or maybe a user which visited a range of similar product pages. Each of these visitors can have a tailored ad delivered to them. 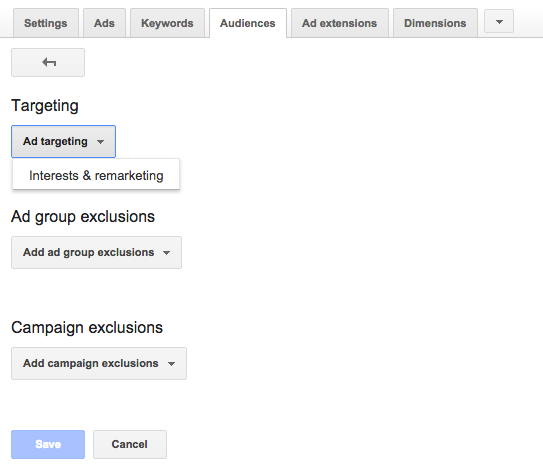 Use remarketing to deliver personalised ads along the path to conversion. Large-scale reach - Remarketing on the Google Display Network gives you access to audiences on over two million websites and apps. Control of where you ads appear – If you feel that your remarketing ads are gathering a lot of clicks but not converting, there are many data analysis and filtering tools available to improve performance. We are continually optimising in this way for better ROI for our clients. Bing are soon to launch their own remarketing for search campaigns in the Bing Adcenter, your RLSA ads will then appear on Bing and Yahoo. We know that Bing will operate RLSA in a similar way to Google and use tags on your website to track users and enable remarketing. 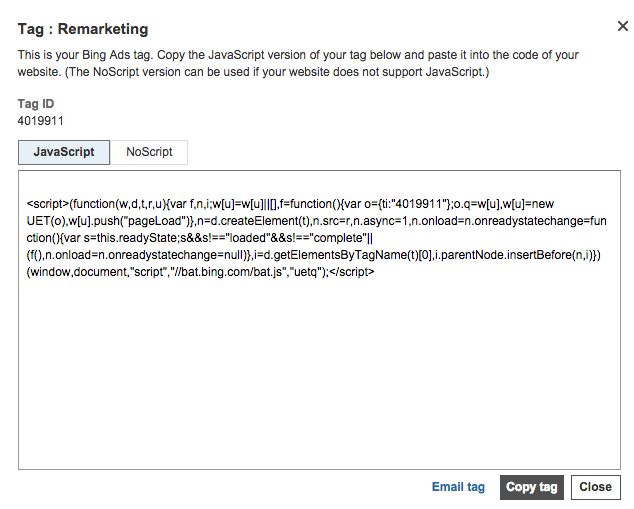 Copy this snippet of code onto every page on your website just before the </body> tag. We’d recommend that anyone running paid search campaigns through either Adwords or Bing sets up Remarketing campaigns also – we run them for ourselves of course too. If you would like to know more or need further advice around Remarketing, please get in touch, we’d be happy to help you.